Men's V-Neck Sweater Just $12! Down From $50! FREE Shipping! You are here: Home / Great Deals / Men’s V-Neck Sweater Just $12! Down From $50! FREE Shipping! 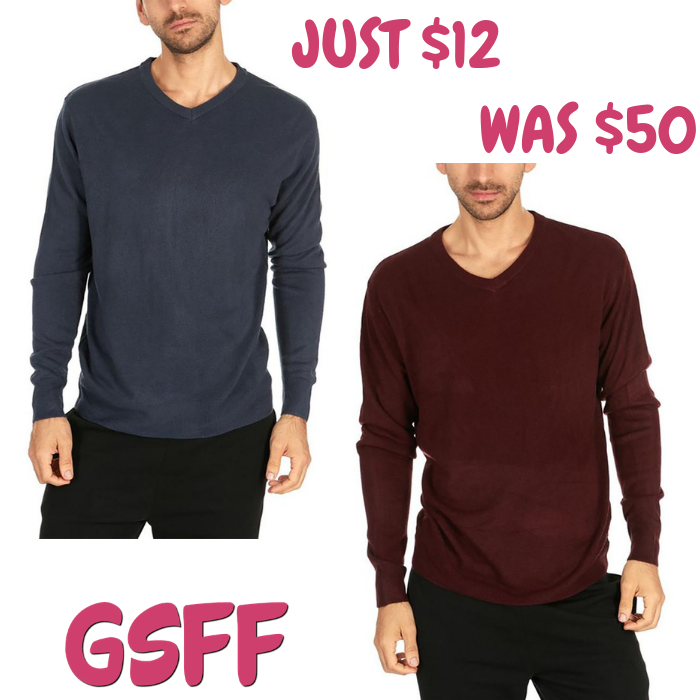 Men’s V-Neck Sweater Just $12! Down From $50! FREE Shipping! Until November 30 only! Proozy is now offering this Men’s V-Neck Sweater for just $12 down from $49.99 PLUS FREE shipping! If you are looking for a Christmas present, the check this out! It’s a good quality sweater perfect for the season! PLUS, it’s on a great deal so you don’t want to miss it!